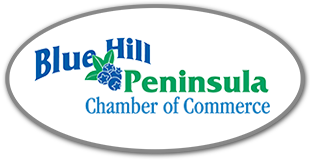 Healthy Peninsula, a 501(c)(3) nonprofit organization, works to improve the health and well being of the residents of the Blue Hill Peninsula, Deer Isle, and Stonington by mobilizing, supporting, and collaborating with community partners. Our work is based in the challenges and needs defined by the communities themselves, and we are currently focusing on three major initiatives: Healthy Aging, Healthy Eating, and Healthy Families. Under Healthy Aging, we are taking a lead role in the Choices That Matter Community Conversations and Age-Friendly Coastal Communities projects. Our Magic Food Bus, Summer Garden Camps in Brooksville and Penobscot, and food-security activities fall under Healthy Eating. We are currently collaborating with both school unions, early-childhood service organizations, and community members on a Early Childhood Community Planning Grant from the Maine Community Foundation, and the work of our Early Childhood Interest Group helps make Healthy Families a reality.